Some Used Cars Are Covered by Virginia’s Lemon Law | The Consumer Law Group, P.C. Do Used Cars Qualify Under the Virginia Lemon Law? Is it possible for a used car to qualify under Virginia's Lemon Law? We explore that topic, and show you how your used car may still be covered, in this video. Although the car you bought was previously owned, you were disappointed to find that it had a major mechanical defect. You’ve heard of the Lemon Law, which allows a new car buyer to return it if it fails to conform with the warranty and cannot be repaired in a reasonable number of attempts. Does the same option exist for used cars? The answer is yes, but only in very specific circumstances. In general, then, the used car you purchased cannot be older than 18 months and the warranty must be valid. Does the Warranty Transfer When You Buy a Used Car? 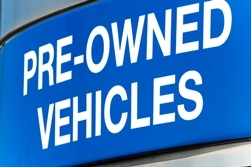 Manufacturer’s warranties are linked to a vehicle identification number (VIN), not an owner, so they are transferable with the sale of the vehicle. However, simply knowing the model year of your vehicle is not enough to know when the warranty will expire. For example, a 2016 model year car was likely purchased in 2015 and the warranty is valid from the date of purchase, not the model year. Your best bet is to find out how much time is left on the warranty by running the VIN through a dealership’s service department. Most new cars come with a three-year, 36,000 mile warranty, but the Lemon Law only applies for the first 18 months of a warranty, so that is important information to have before you try to make a Lemon Law claim. If you believe you have a valid Lemon Law claim on your used car, you should follow the same process you would with a claim on a new car. If you run in to problems with the process because you are not the original owner, contact the experienced Lemon Law attorneys at The Consumer Law Group, P.C. We know the law and we can help.